There is a teenage fashion blogger named Helena and she is played by TAVI GEVINSON. Plus DESUS and MERO play two New York/Neo Yokio dudes with weird names that just like hang and make jokes. Kaz's character is so hilarious. He whines about his depression due to his breakup like a typical millennial, making it a point to always mention that he's depressed by saying things like he doesn't have the "emotional energy" (to do an exorcism) and "Gentlemen, I'm sorry I'm late, as you know, I've been really depressed, and it's affected my attitude towards field hockey." 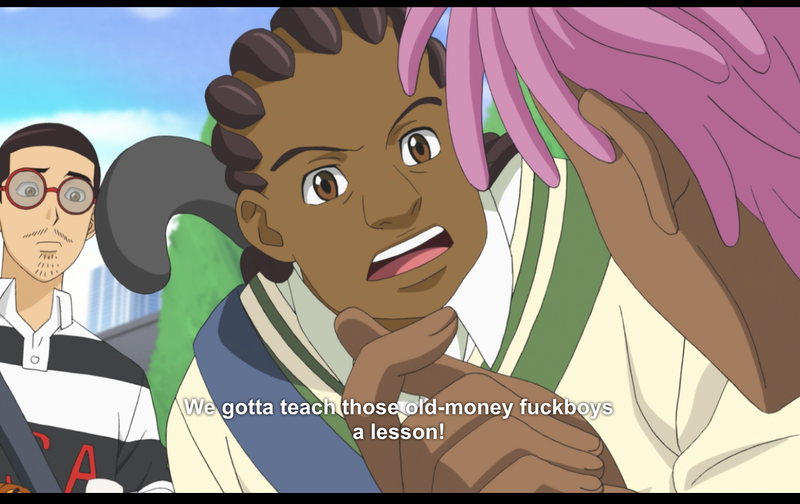 It's even more meta that the character is voiced by Jaden Smith. The "fashionable" part of the synopsis rings true to an almost absurd extent. 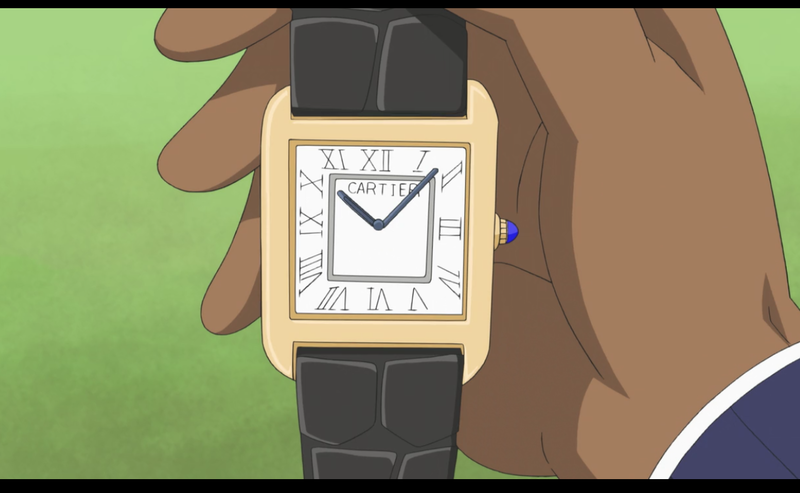 The series begins with Kaz throwing away a Cartier watch due to his breakup. He then goes shopping blindfolded because he shops only due to touch, and then he's offered "Margiela field hockey trainers." A custom Chanel suit gets possessed by a demon and Kaz says "you knew a bespoke suit was your only shot of getting to Helena." When Kaz destroys the demon, he says "Coco Chanel may her memory be blessed!" This show is made for me. 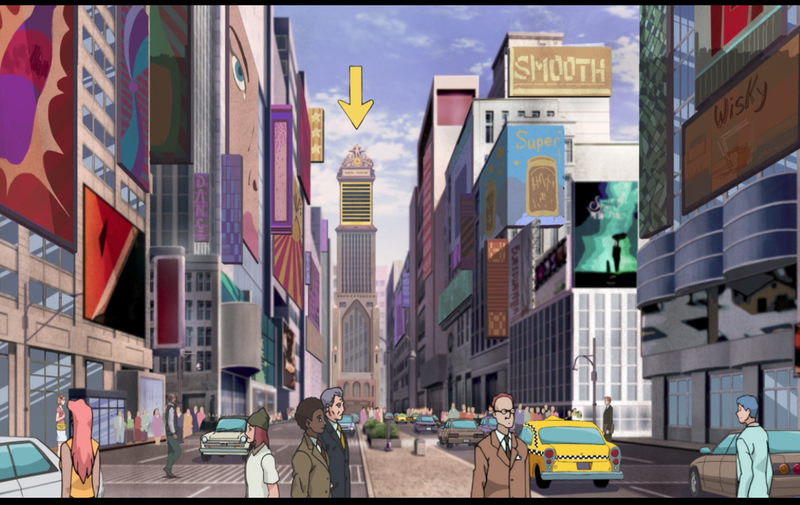 Neo Yokio is New York, which is already an amazing name. 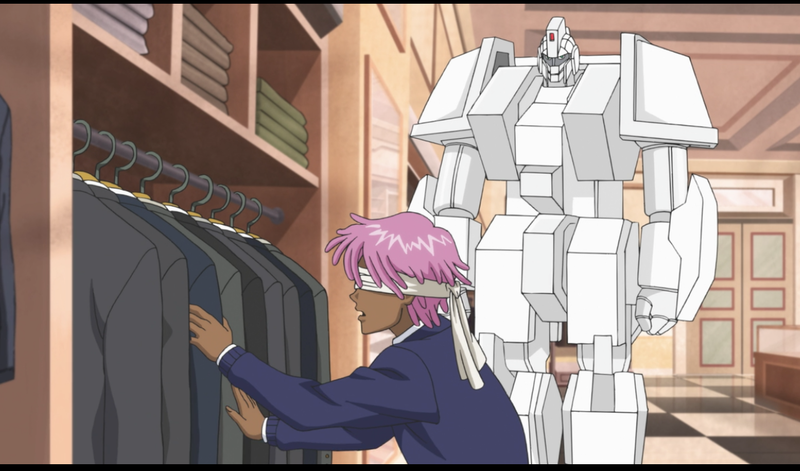 The first episode starts out with a "tourism" video for Neo Yokio. 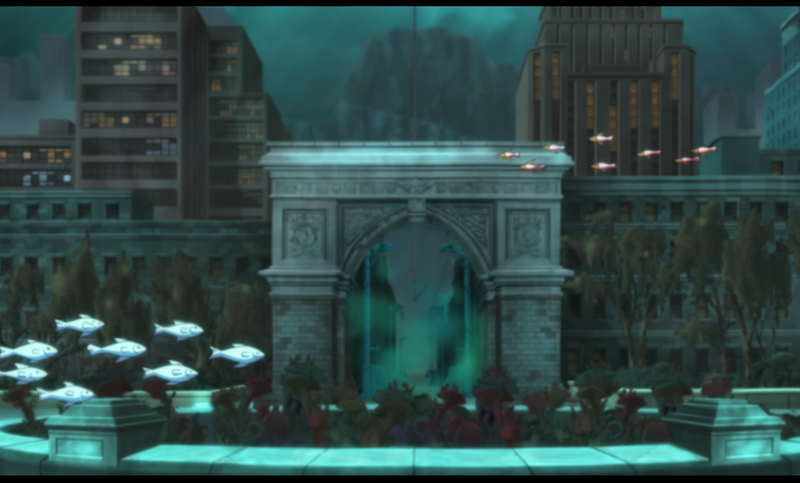 Everything south of 14th Street is totally underwater (referred to as "the sea beneath 14th street" and the title of the episode), and they have to take bubble transportation to get there, passing by a Washington Square Park that looks like a structure in a fish bowl. People still live there in air tunnels. I'm still not sure how this really factors in to anything, but I'm sure it will pay off. Kaz starts out at #2 after his breakup. He immediately drops to #7 after he fails to exorcise Helena, and he cares a lot, so much so he goes to visit the grave (#6). I didn't add that arrow, FYI. Each episode is less than 24 minutes long (assuming they are all the same length) and there are only 6 episodes. That being said, I just watched the first episode twice because it really requires you to pay attention to really enjoy the show, and I was too busy looking at my computer and my phone to truly understand just how great it is. After Kaz fails to exorcise Helena, he says he wants to go visit "the grave." He and his robot Charles go to a cemetery to visit the grave. It turns out that it is his own grave that he designed himself, saying "Kaz Kaan, 1997-". He just lays down on it to relish in his own depression. 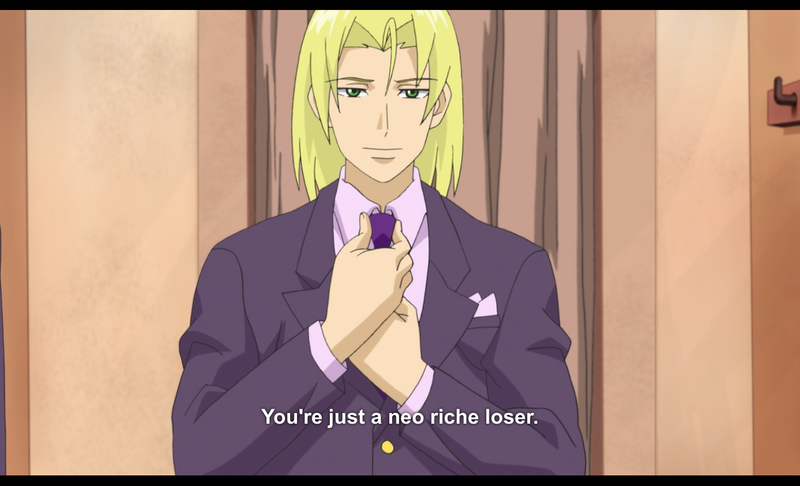 There are so many funny little things, like basically anything Jason Schwartzmann says while playing the handsome "#1 bachelor" character Arcangelo. I want to quote almost everything in this show, but I can't, and plus quotes aren't even enough to truly encapsulate the humor, so writing this post is my only release. 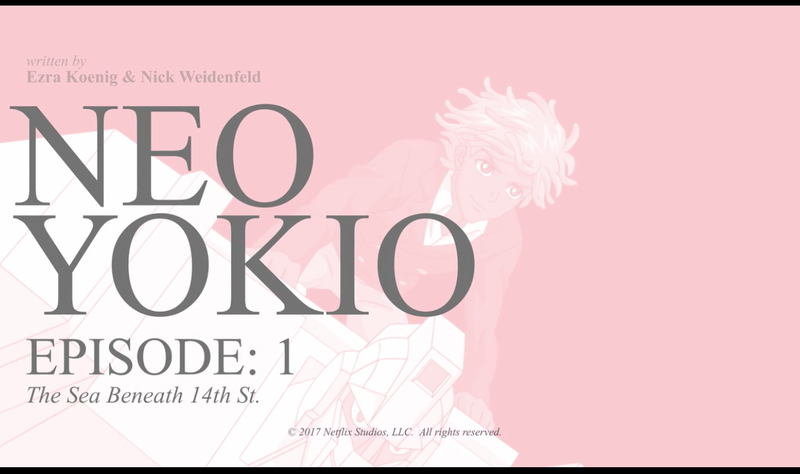 Episode 2 is called "A Pop Star of Infinite Elegance" and starts out at a Neo Yokio Knickerbockers game. I can't wait!